Next stop for Long Bar Pointe developers: the 2nd District Court of Appeal in Lakeland. The appeal du jour: 12th Circuit Judge John Lakin’s decisions upholding four Manatee County Comprehensive Plan coastal development policies. The lead attorney for the developers in Lakin’s courtroom, Bill Moore, of Moore, Bowman & Rix of Sarasota, challenged the constitutionality of the policies on behalf of Long Bar Pointe developers Carlos Beruff and Larry Lieberman, and their companies, Long Bar Pointe LLLP and Cargor Partners VIII. Moore filed the appeal against the county Jan. 21 on the heels of Lakin’s amended judgment a week earlier. The amended judgment added words of finality and reserved jurisdiction to rule on costs the developers will be required to pay Manatee County, but otherwise was word-for-word the same decision issued Jan. 5. 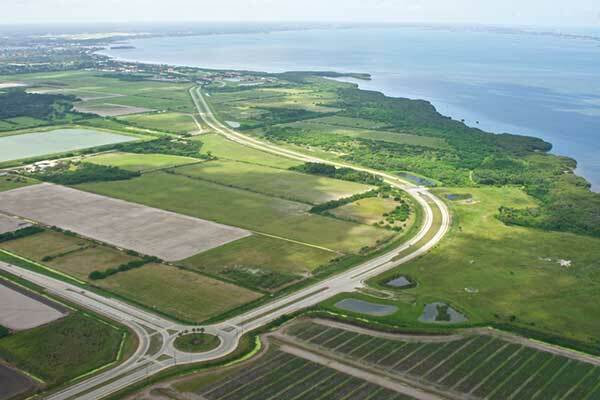 With the litigation filed in October 2014, the developers have been looking to the court to widen their ability to develop coastal and submerged lands as part of a mixed-use development. According to their August 2015 county application, the Long Bar Pointe development, renamed Aqua By The Bay, proposes 3,200 homes and 78,000 square feet of commercial space. Suncoast Waterkeeper and Florida Institute for Saltwater Heritage, local nonprofit environmental groups, joined the litigation in November 2015 to support the county before a Dec. 4 hearing, which included arguments from all parties and the interveners. In Lakin’s post-hearing decisions, he ruled the developers’ lawsuit should have been filed within four years after the county passed its comprehensive plan in 1989 and, therefore, it was more than 20 years too late. The four comp-plan policies were upheld as legitimate guidelines to protect Manatee County’s coastal resources and not unconstitutional takings of private property, as the developers argued. While the judge recognized an owner’s rights to water access and the use of coastal and submerged lands, the decision upheld the policies’ restrictions against new boat ramps and dredging of channels and basins. After the Jan. 5 decision, Moore said he and his clients disagreed with “everything” in Lakin’s written opinion. Moore and the developers are expected to appeal on grounds the policies seek unconstitutional uncompensated public benefits, vague terms and preclusions rather than reasonable regulations. Addressing the late-filed lawsuit issue, according to a court paper filed by the developers, they lacked standing to bring a lawsuit on the comp plan policies until June 29, 2012 — the date they took ownership of the property. “It’s no surprise,” said Justin Bloom, executive director and founder of Suncoast Waterkeeper, an environmental watchdog in Sarasota and Manatee counties, when asked about developers’ appeal. He said the appellate court might rule with or without oral argument. “We’ll be there to support the county” with briefs and oral arguments, if allowed, Bloom said.